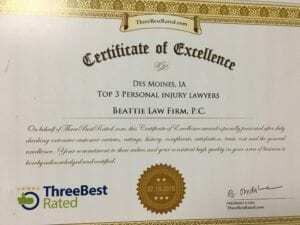 Beattie Law Firm: Top Award-Winning Law Firm in Des Moines | BEATTIE LAW FIRM, P.C. 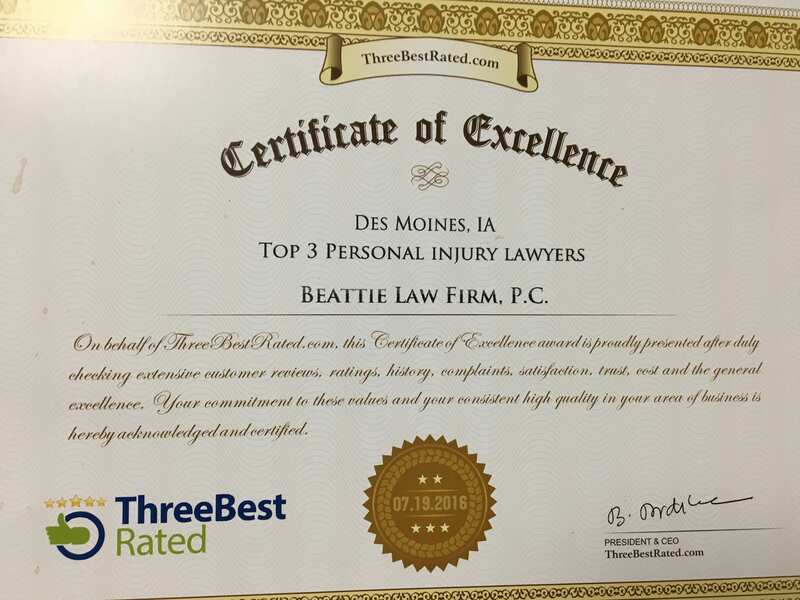 We at the Beattie Law Firm are proud of our accomplishments; but more so the people we have represented, especially through trying times. For that, we are honored, and without your trust we could not reach the accomplishments and receive such honors and distinctions. 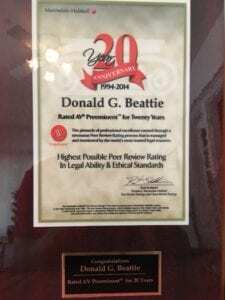 Don Beattie, has been rated AV Preeminent through Martindale-Hubbell® Peer Review Ratings™. 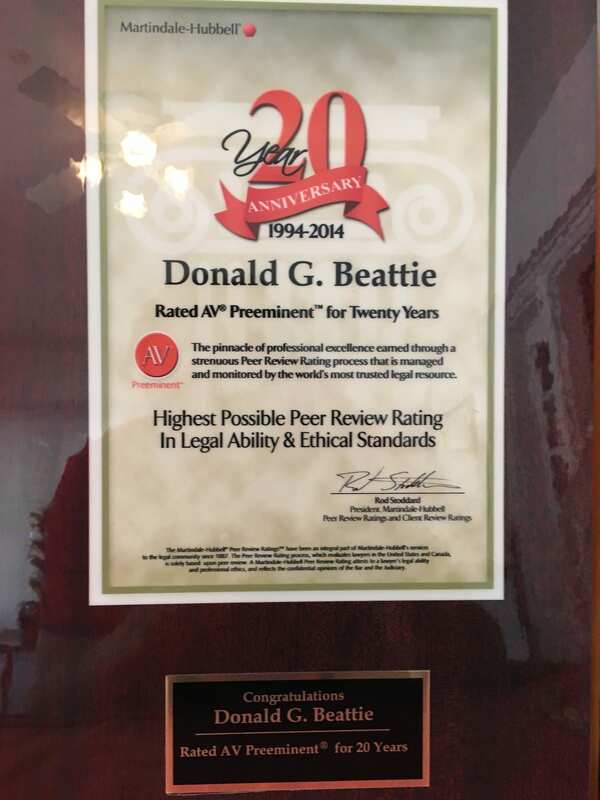 For the 20th year, Don has received the Highest Possible Peer Review Rating in Legal Ability and Ethical Standards. This accomplishment is an honor as ratings come directly from other attorneys who believe in Don’s legal knowledge and ability. 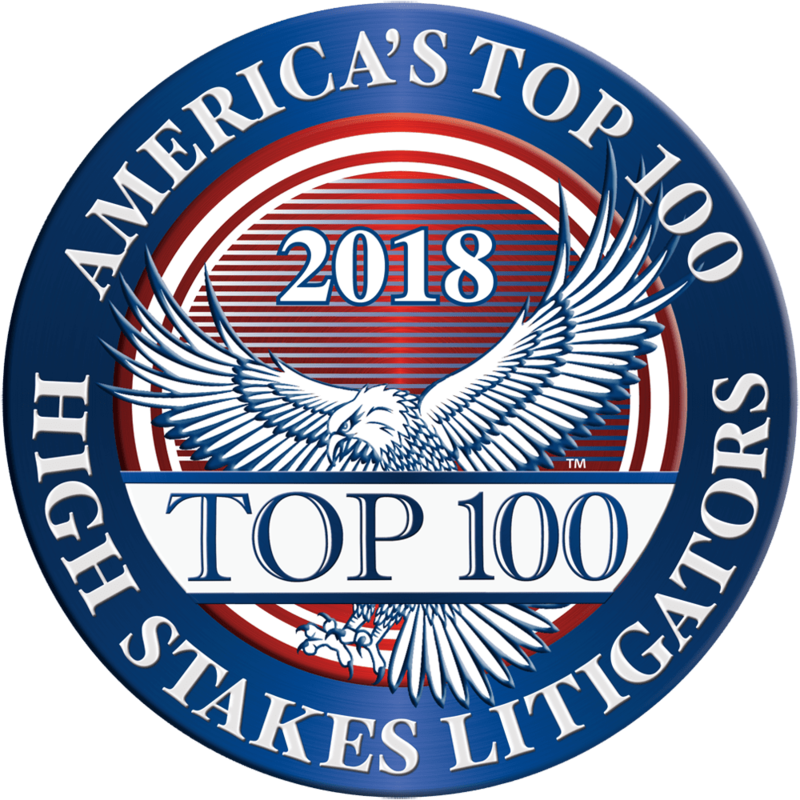 The AV Preeminent rating is the highest peer rating standard and signifies that the lawyer’s reviewed peers rank him at the highest level of professional excellence for their legal knowledge, communication skills and ethical standards. The membership of the Million Dollar Advocates Forum is based on strict and objective standards – with the main qualification of having acted as Principal Council in one or more cases that resulted in a final judgment, award or settlement in the amount of $1 million or more. Less than 1 percent of lawyers across the United States are members of the Million Dollar Advocates Forum. ThreeBestRated.com’s mission is focused on the best, not the most. Their goal is to find the top three local businesses per category in each city. Top three businesses are handpicked by their team and based on reviews, history, complaints, ratings, satisfaction and general excellence. Our mission at The Beattie Law Firm is to fight for justice for all clients — past and present. We dedicate these accomplishments to you.